Producers Jeffrey Seller and Cameron Mackintosh announce full casting for the London company of HAMILTON which is going into its second year at the Victoria Palace Theatre. The production is booking to 30th March 2019. From 3rd December, original London cast members Sifiso Mazibuko will play the role of Aaron Burr and Courtney-Mae Briggs will play Peggy Schuyler/Maria Reynolds. Also continuing are Jade Albertsen, Curtis Angus, Stephenson Ardern-Sodje, Johnny Bishop, Jack Butterworth, Kelly Downing, Leslie Garcia Bowman, Gregory Haney, Leah Hill, Barney Hudson, Waylon Jacobs, Aaron Lee Lambert, Phoebe Liberty, Sharon Rose, Alexzandra Sarmiento and Lindsey Tierney. Between 17th December 2018 and 12th January 2019 the role of Alexander Hamilton will be played by Ash Hunter. Full ticketing information can be found on the official website at hamiltonmusical.com which includes details of the HAMILTON West End £10 daily Lottery. Patrons are advised to check the official HAMILTON channels for news of late release seats which may become available at short notice. The producers of HAMILTON are working to combat the unauthorised profiteering of third-party resellers and ticket touts. 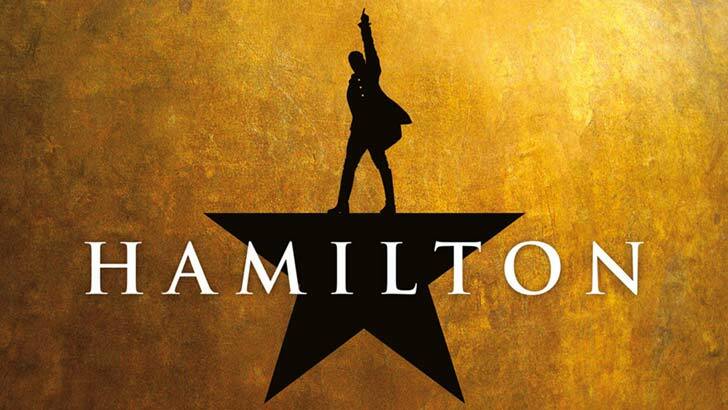 Delfont Mackintosh Theatres has pioneered for the West End a paperless ticket system for this production – HAMILTON Paperless Ticketing, powered by Ticketmaster.